I. LOVE. Blue cheese dressing. Like I kind of have a sick obsession with it. It’s literally THE ONLY salad dressing I ever use. And I use it on more than just salad. I dip cheese fries in it (because it’s better than ranch). I dip anything “buffalo” in it (because it’s better than ranch). I dip vegetables in it (because it’s better than ranch). I dip onion rings in it (because it’s better than ranch). It’s actually pretty great on burgers. And of course it’s better on salads than ranch. I don’t have any shame. 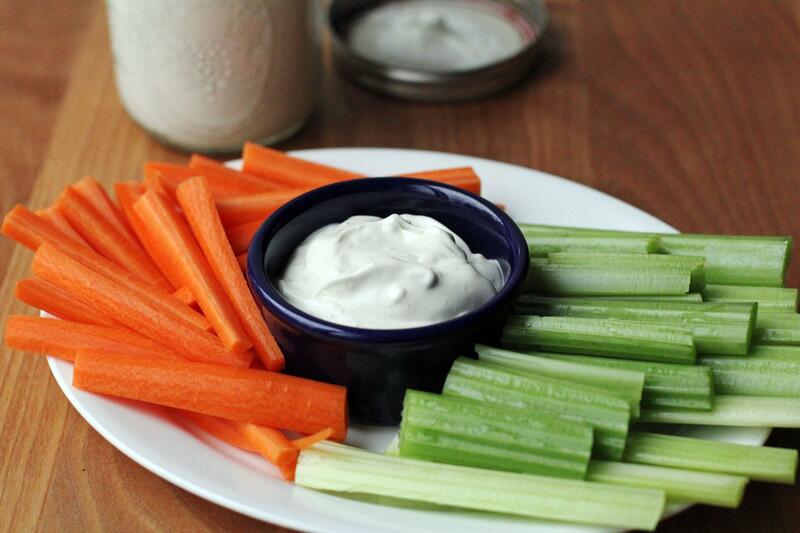 I would pretty much dip anything in blue cheese dressing. So naturally I needed to find a way to make it on my own. Homemade salad dressings are so easy, and SO much better than anything you can get in the store. I would venture to guess they are even healthier than anything you can get in the store. I wish I could say I tried so many homemade blue cheese dressing recipes over the years and modified them until I found the perfect combination of ingredients to fit my taste – but – I didn’t. Nope. This recipe is not mine. It’s Morton’s. I have the Morton’s Steak Bible cookbook and it has recipes for darn near everything on their menu in there. Even things I’ve never seen on their menu. But lucky for me their recipe for blue cheese dressing is in there – and it’s soooo good. I have made this recipe a gajillion times over the years and it is so consistently yummy. I love it and I know you will too if you are a blue cheese enthusiast like me. Bonus: Next week I have a couple of recipes to share with you that you could use this dressing with. Hashtag YUM. Combine the mayonnaise, sour cream, Durkee Famous Sauce, seasoned salt, buttermilk, salt, and pepper in a bowl and whisk together until combined. Add more buttermilk as necessary to achieve desired thickness or consistency. Add blue cheese crumbles and fold together. Store in air-tight containers for up to 10 days in the refrigerator.